Tam Coc is located about 90 km from the city of Ninh Binh, and is considered one of Vietnam's most spectacular sights. Tam Coc means “three caves” – which are Hang Ca (the first), Hang Giua (the second) and Hang Cuoi (the smallest). A visit to Tam Coc basically consist of a three hour boat ride along the twists and turns of the Ngo Dong river beginning at the village of Van Lam and proceeding through a scenic landscape dominated by rice fields and karst towers. 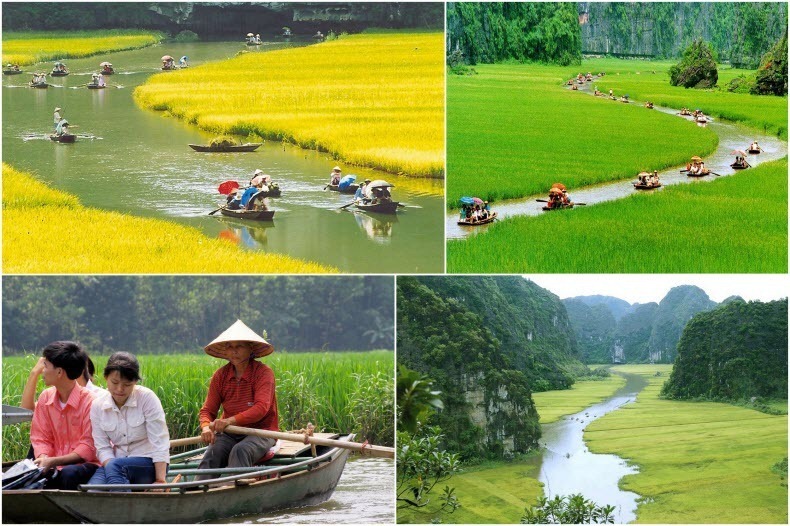 Undoubtedly, the most impressive of Tam Coc are the rice fields and when at its best, they are bright green with yellow, that extends all the way from the water’s edge to the foot of the rock formations.